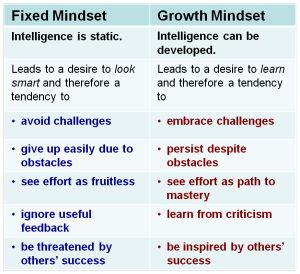 Growth Mindset School is made up of a whole school with teachers aiming to lift the standards for all regardless of where their students are starting with their learning base. Are you comfortable with spontaneity, creating a context for learning that is fluid and able to respond to ideas? One of the underpinning factors in the design for Manhattan and The City, the newest precinct at Northern Beaches Christian School, has been to enable the creation of spontaneous spaces. I recently did a quick test on Twitter that asked me if I was a ‘Connected Educator’. The questions were short and simple and the feedback indicated I had a pretty good handle of ‘Connecting’ with educators across the globe online via various social media platforms. Fair enough. What does it mean for me? One of my fairly new friends on twitter (old teacher of mine from the 80’s) said to me recently as a new Principal how did I find the time to keep reading and contributing on Twitter? I simply told him it was essential I keep my professional reading going now even more so than ever. My normal professional networks were now a little further spread geographically (I moved to the country from the city) so I relied upon my PLN’s online more so than ever. F2F conferences were a long way away. Twitter was at hand on my phone whenever I needed it! So what have I been reading. What is influencing my teaching and learning and leadership? I cannot remember where it came from when I read the quote it summed up my thoughts on school change and reform at present. Our job as educators is all about learning and so it is vital that we model for our students what we want them to embrace in our classrooms. Nothing stands still and nor should schools as they approach learning and teaching. I left school in the mid 80’s and yet in so many ways in Australia the main parts of many schools (I’m generalising from my experiences) are essentially the same as they were for me thirty years ago. One classroom — one teacher model. 9–3 day 5–6 period day. Little connection from class to class. Exams at the end of courses to test our understanding. Success is still measured by the HSC exams and ATAR score at the end of Year 12 which is a more a ‘test’ of how much you know rather than what you have learnt. I was a ‘good’ student without ever being a ‘top’ student. It took me many years to understand the difference. In brief I would love to get rid of the HSC (end of course exams) or at least modify how so much concentrates on exam assessments for students? We have so many other valid forms of assessments we can use to measure students competencies so why do we still rely on exams for more than 70% of assessments? 2. Modify School curriculum. With such a heavy focus on meeting the ‘outcomes’ or standards for these exams many very good teachers (including myself) focus on getting the best results for our students in these exams. We need to stop and rethink what we are ‘teaching’. 3. Focus on learning. Changing exam focus allows teachers to focus on students and teachers learning and having fun in the process. 4. Get schools to focus on integrating new courses that are critical for our society and economy for our students. These include much greater focus on learning HOW to THINK. These courses have been around since Socrates and Plato were boys and many outstanding schools have introduced thinking and philosophy courses to better provide students with understanding how the brain works. 5. Project Based Teams. PBL or Project Based Learning again is not a new method of teaching and learning. Adopted by medical schools in the USA in the 1960’s it is a methodology that requires students to work in teams in response to answering a deep question of inquiry put before them. PBL has been adopted anew by many school systems over the past decade and is having very positive results engaging students in their learning. 6. Building Cultures of Creativity. This is challenging! Schools are about learning which means they should be promoting all these words above: IMAGINATION. INNOVATION. IDEAS. The GREAT learning organisations of course do this every day which makes them so great. They AIM to be creative from the outset of every learning project or idea introduced. 7. Change the space. Maybe half the learning is about the space or environment students enter into. Do they come in ready to engage and learn or sit back and sleep and switch off? Do your learning spaces engage? 8. Take students out into the World. Technology allows so much interactivity that was simply not possible before. Throw away the textbook and get the students to create their own. Students need to understand the aim of an education is not a place at TAFE, Uni or even getting a job. The real aim is about living IN the world. The more schools connect their students learning to the REAL world the more successful and powerful the learning outcomes. Many schools are getting parents and professionals to come in to assess students projects at the end of a 5 week learning cycle. 9. Promoting Student Voice is crucial in the modern learning organisation. Giving ALL students a pathway to access LEADERSHIP programs is vital and will ultimately promote the positive aspects of your school. You want all students to be leaders or at least demonstrate as many qualities of leadership as is possible. 10. Teacher Leaders will help build and model the type of learning organisation you desire. INVEST in your teachers. No Business Manager gets this one. 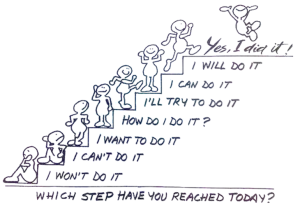 A Teacher Professional growth mindset will move your whole organisation forward. Spend lots of money on internal and external professional learning that takes your teachers to the well — show them how the future of their school could look! This takes time and every cent spent is an investment in the future Staff-Student Wellbeing of your school. At the end of the day every ed Leader needs to ask themselves what type ofstudents do they want to grow and nurture in their school?